L/C, T/T, Western Union, MoneyGram, PayPal etc. 2. What about Sample Making Time? 3. What shipping way is available? -- Depending on your request. -- Air Express Shipping, such as DHL, Fedex, TNT, UPS, it need 3-5days to your address(door to door). -- Ocean Shipping, normally takes 15-25days to destination port. --Air express is expensive than ocean shipment, but the delivery time is very fast. 5. Do you accept Small Orders? --Please feel free to let us the quantity you want. --We will let you know we can do or not. --All is open for discussion. 6. Do you provide OEM/ODM service? --We have professional R&D team. 1. Gentle ingredients,won't hurt your skin. 2. 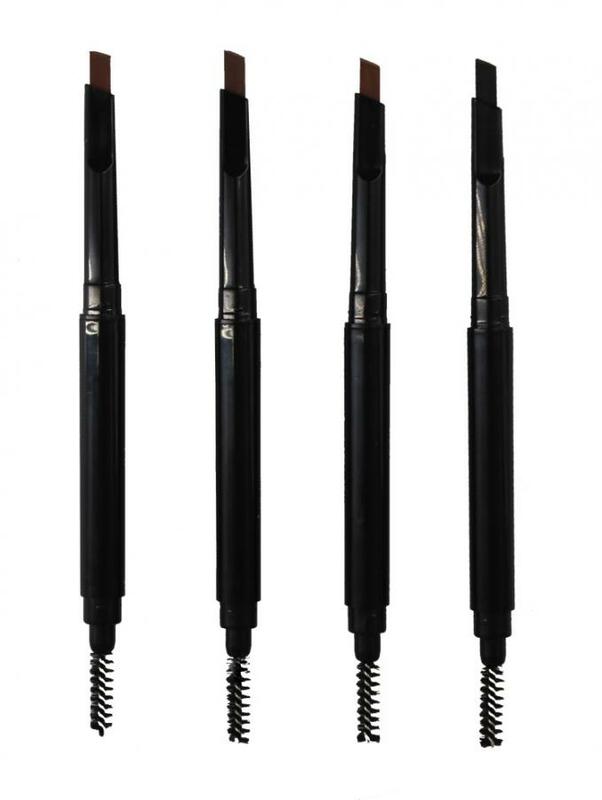 Very easy to apply on the eyebrow, help you to build a perfect makeup look. 3. 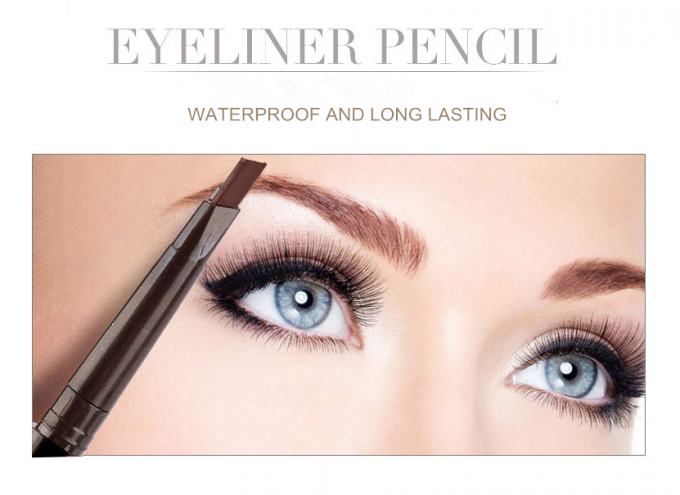 Waterproof,smudge proof, Long lasting for 24 hours. 4. 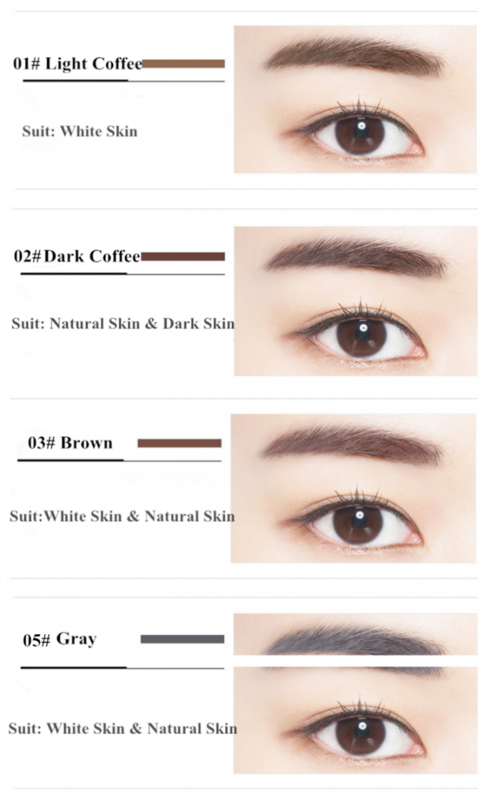 Lower MOQ,100pcs with 4 colors in stock. 5. Very fast processing, 3-5 days then can ship out. 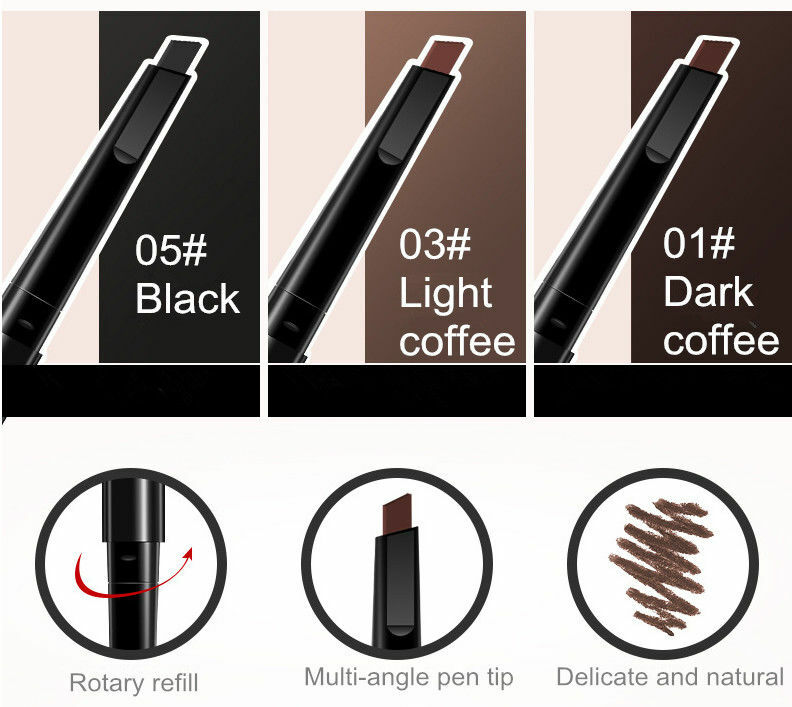 Color Dark coffee, Light coffee, Meidum coffee and Black color, Can be customized. Production time 3-5 days for small qty,for big order,to be confirmed.